“Fibrous-rooted perennial from a short rhizome or stem-base; stems solitary or clustered, erect to spreading or even reclining, leafy, square in cross-section, usually unbranched, 10-50 cm long or tall. Leaves [are] opposite, relatively few, lance-egg-shaped to oblong or elliptic, minutely hairy to hairless, stalked; [leaf] margins smooth or obscurely toothed. Weed/colonizer, can be seral at many successional stages, or part of a climax community (such as a south Puget Sound prairie). 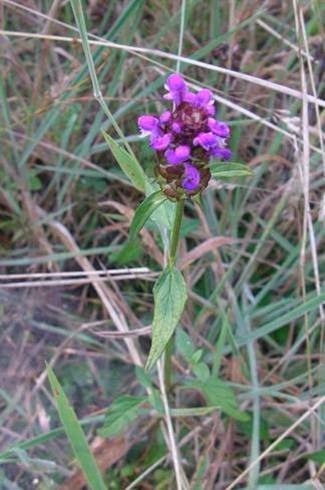 Prunella vulgaris is a perennial herbaceous plant that blooms from June through October. Division can occur any time plants are found. In a mild climate, division can take place any time of the year.. Stolon collection can occur whenever rooting stolons can be found. Seed collection is most easily accomplished by collecting flower heads at the end of their growing season (September, October, November). Seeds can be stored; I am unable to verify the shelf-life and storage conditions at present. 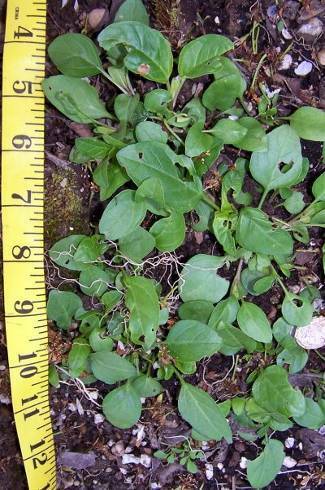 Prunella vulgaris can be propagated by stolon, division, or seed. Propagation by stolon yields larger plants in a shorter amount of growing time. Stolons root wherever they touch soil. After plants are established, high soil moisture will cause increased (even weedy) growth. Established plants can tolerate extended dry periods  but do best when soil is consistently moist enough to prevent roots from drying out. Plants spread most aggressively/primarily via stolons. 2. Clark, Deborah L., and Mark V. Wilson. (2003). Post-Dispersal Seed Fates of Four Prairie Species. American Journal of Botany 90, pp 730-735. 5. Pojar, Jim, et al. (1994). Plants of the Pacific Northwest Coast. Lone Pine Publishing: Vancouver, British Columbia, Canada. 7. Personal observations of Walter Wilson (1996 through 2006). UBNA (Seattle, WA, US), forest property (Packwood, WA, US), Mount Rainier National Park (Mount Rainier, WA, US), and propagation/planting (residence, Seattle, WA, US).